Why have Microblading – Semi-Permanent Brows at Therapy House? Eyebrows are certainly centre stage under the beauty spotlight right now. As celebrities such as Cara Delevingne, Beyonce and Kim Kardashian know, the shape and colour of your eyebrows can make such a huge difference to your appearance, framing your eyes and adding drama, definition and symmetry to your facial features. If you’re on the quest for perfect but low maintenance brows, then Microblading might be the ideal solution. Microblading is the Japanese method for creating semi-permanent brows that can last for up to 9-12 months. 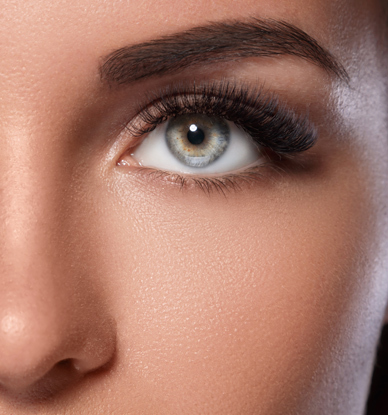 Microblading is particularly desirable because the results look so natural. This is the treatment for you if you suffer from alopecia or any other hair loss condition, or if you want thicker brows without them being too dark or over-defined. Discreet and subtle – no-one will know your brows are semi-permanent, unless you tell them! Microblading is carried out by using a very fine blade, comprising 10-16 tiny needles, to deposit coloured pigments into the top layers of your skin. Because the pigment sits close to the skin surface, the narrow hair-like strokes retain their lightly feathered shape to look crisp, fine and incredibly natural. We are able to blend the pigments we use to perfectly match the colour of your eyebrows and we can seamlessly blend the microblading with any existing eyebrow hairs. When you come in to the clinic for your initial consultation, we will spend some time talking to you about the shape and thickness of your brows and the look you would like to achieve. As much as you may be inspired by a celebrity look, it’s important to give your brows the right shape for your face rather than copying someone else’s eyebrows exactly. At the beginning of the treatment, you might feel a slight scratching sensation as your therapist marks out the shape and design of your brow. We will then apply a numbing cream to ensure that the treatment is as comfortable as possible. During the treatment we use a sterile microblading tool and single-use blade to apply EU regulated pigments into the upper layers of your skin. Your initial appointment is likely to take between 60 and 90 minutes. Your eyebrows will look different immediately. You should expect the colour to initially look darker but your brows will fade to their final colour over the next 10-14 days. At this stage, we will invite you back for a second appointment to check the results and touch-up any areas that need further attention. The results can last anywhere from 9-12 months. This will depend on your skin type, how much time you spend in the sun, and the skincare products you use. Most people choose to have a top-up treatment approximately nine months after their semi-permanent brows were first created. Your new brows will look naturally flawless from day one and you can leave the clinic without needing any downtime. Sometimes people do experience mild bleeding or bruising, but this quickly self-resolves. Your brows may feel slightly tender for several days post-treatment, particularly for the first two to three hours. If you have any concerns at all, please call us.